The Thule 963XTR is a great bike carrier for attaching to the spare wheel on 4WD vehicles. 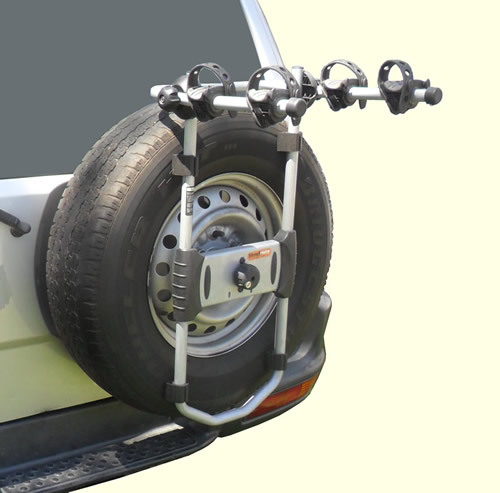 It can carry 2 bikes which is the maximum typical for spare wheel bike carriers because of limitations in the strength of the vehicles mounting point and door hinges. The Spare-Me attaches to the vehicle by a plate which is sandwiched between the spare wheel and its mounting boss. 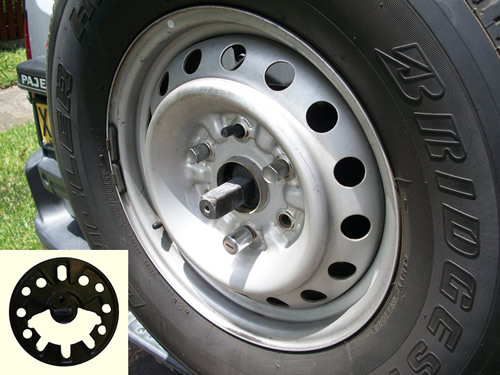 The attachment plate has multiple holes in it to accomodate a variety of vehicle spare wheel hole patterns. This plate can then live on the wagon for quick fitting of the carrier in the future. 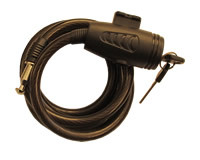 On some 4WDs with alloy wheels you may find a plug in the centre of the wheel that needs to be knocked out. 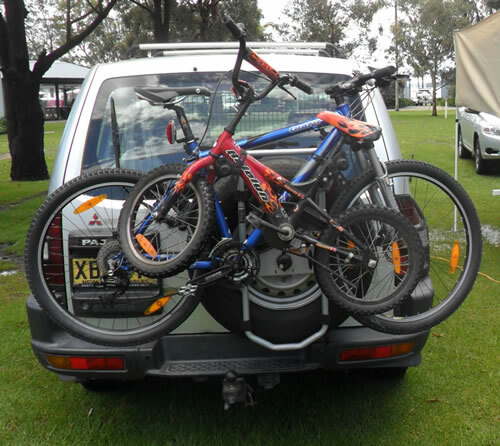 The bikes are held in cradles which can be tilted to accomodate the frames angle. They incorporate a rubber strap that has plenty of stretch and length in it to get around big tubes. Finally a tie down strap is included to stop the front wheels from flopping about. 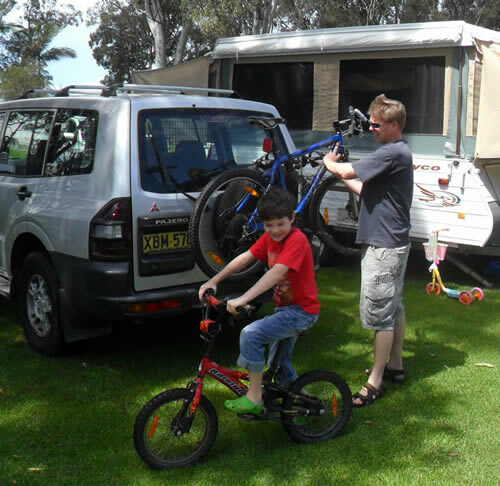 This product is not suitable for use on the spare wheels fitted to the rear of trailers and caravans. This product can not be used with a spare wheel cover.